5th grade students learned about American Painter Georgia O'Keeffe. 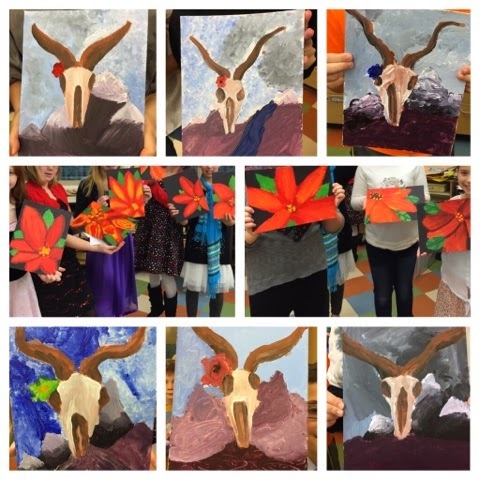 To give some freedom to the students, they were given the choice to paint an up close poinsettia in her style or one of her more desert like scenes. This was a highly successful project and students showed great pride in their work. I was very proud of them as well!